Pictured (L-R): Frankie Pine, Callie Khouri, and Buddy Miller. Photos: Belmont University. 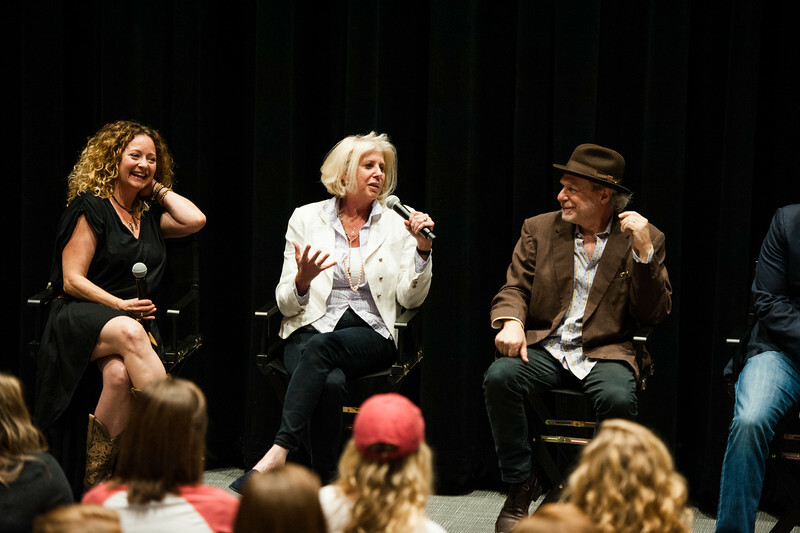 Nashville celebrated Nashville last week at Belmont University, when the television series’ creator Callie Khouri, cast members, and students packed the university’s Johnson Center to watch the premiere of Nashville‘s fourth season. 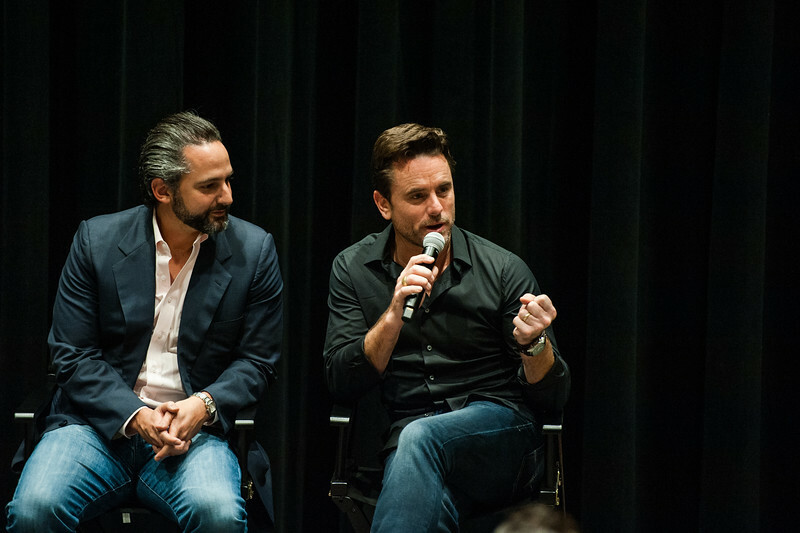 Those in attendance included Buddy Miller, music supervisor Frankie Pine, writer Taylor Hamra, and actors Charles Esten, Aubrey Peeples, Chris Carmack, Sam Palladio, Chaley Rose, Jonathan Jackson and Will Chase. 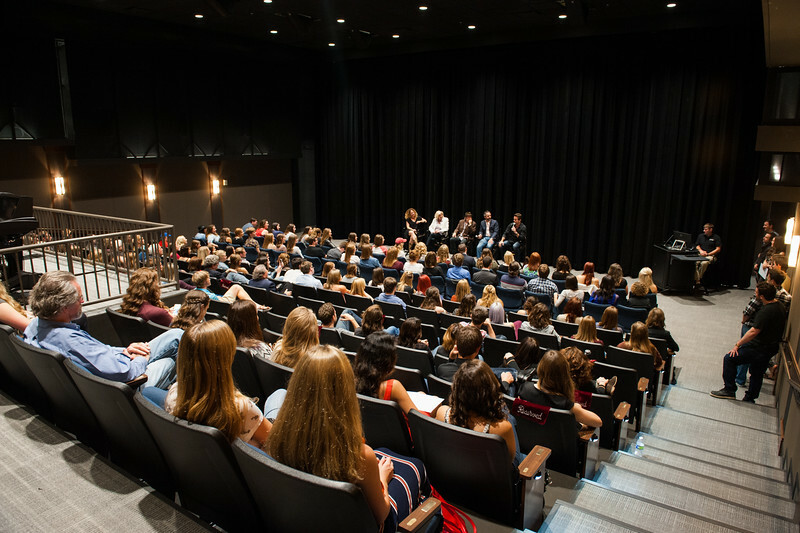 Belmont students attend a showing of the Nashville Season Four premiere.